We all recognize the "thumbs-up" sign. For most of us, it could be someone hitching a ride on the highway or found in fiction. Remember the nursery rhyme of Little Jack Horner and his Christmas pie? Young Jack, after removing a plum with his thumb, exclaims what a good boy he was. Then there was the sitcom Happy Days where Henry Winkler portrayed the leather-jacketed auto mechanic Arthur Fonzarelli. The Fonz, who could turn on the jukebox by tapping it with his fist, would usually greet the Cunningham family and their friends by flashing a thumbs-up along with a "Hey!" Finally, there was Roger Ebert (18 June 1942-4 April 2013). Ebert was a film critic for the Chicago Sun-Times from 1967 to 2013, a total of 46 years! With crosstown critic Gene Siskel of the Chicago Tribune, the two of them patented the words "Two Thumbs Up" whenever Gene and Roger liked a film. (A thumbs-down meant that the duo thought that a movie stunk.) During his tenure, Ebert reviewed literally thousands of films. Though the general population tends to frown on most critics, Ebert received a Pulitzer Prize for his work as a critic with the Sun-Times. It was a proud moment for him. Siskel and Ebert’s popularity went way beyond the balcony. They appeared on numerous talk shows including Late Night with David Letterman and on Saturday Night Live. Gene and Roger were depicted on an animated episode of Dr. Katz. Mad magazine even took liberty to parody Siskel and Ebert (which ironically Roger read and he claimed it helped him with his movie reviews). Nickelodeon, a cable network for children, had their own version of At the Movies in the mid-1980’s. Called Rated K—For Kids by Kids, kids from ten to their early teens reviewed and rated films that were currently in the theatre or recently out on video. Using the alphabet, "K" was their "ultimate rating" while the remaining 25 letters were used at random. For example, an "A" could either stand for "Awesome" or "Awful". Both directors and actors felt flattered to be interviewed by Ebert. Film director Jason Reitman (son of director Ivan—Stripes, Ghostbusters) praised Ebert in an Entertainment Weekly tribute. Ebert interviewed the young director on a few occasions, and Jason was excited that Ebert called his film Juno the "Best Movie of 2007." At the same time, comedian Pauly Shore mentioned in a People interview that he "wished he (performed in a good movie), so (Ebert) could have given me a thumbs-up." Ebert had written the Foreword to another of Bernstein’s works. Aptly titled The Movies Are, Bernstein collected author Carl Sandburg’s film reviews and interviews from the 1920’s. Before writing his renowned biography of the 16th President of the United States, Abraham Lincoln, Sandburg himself was a film critic for the Chicago Daily News between 1920 and 1928. Movies that Sandburg reviewed included Charlie Chaplin’s The Gold Rush and The Kid (both made in 1925) and Buster Keaton’s The General (1926). He also wrote about the first "talking picture" 1927’s The Jazz Singer with Al Jolson as well as such horror classics as Phantom of the Opera (1925) and The Cabinet of Dr. Caligari (1921). But Roger Ebert made his own mark in the literary world. (For a complete listing, please see "Works of Roger Ebert" listed below.) In 1967, he began work as editor for Illini Century for his alma mater, the University of Illinois. And with a lot of film buffs out there, Ebert posted an annual edition of his Video Companion. It had an assortment of his film reviews from earlier years. These books also contained interviews and his "Questions for the Movie Answer Man". 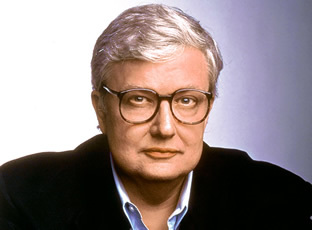 Roger Ebert passed away on 4 April 2013 after an 11-year battle with thyroid and salivary-gland cancer. He is survived by his wife of 20+ years Chaz Hammelsmith Ebert, two stepchildren and four grandchildren. His last words from his blog at RogerEbert.com were the same from his years on his program he co-hosted with Gene Siskel, Richard Roeper and others: "I’ll see you at the movies." Ebert’s final film review was To the Wonder with Ben Affleck, Rachel McAdams and Javier Bardem. Roger gave the movie three-and-a-half stars and the article was printed on 6 April 2013, two days after his passing. Behind the Phantom's Mask (ISBN 0-8362-8021-0)　– his first attempt at fiction. Roger Ebert (2010). The Pot and How to Use It: The Mystery and Romance of the Rice Cooker. Andrews McMeel Publishing. ISBN　0-7407-9142-7. OCLC　449846539.